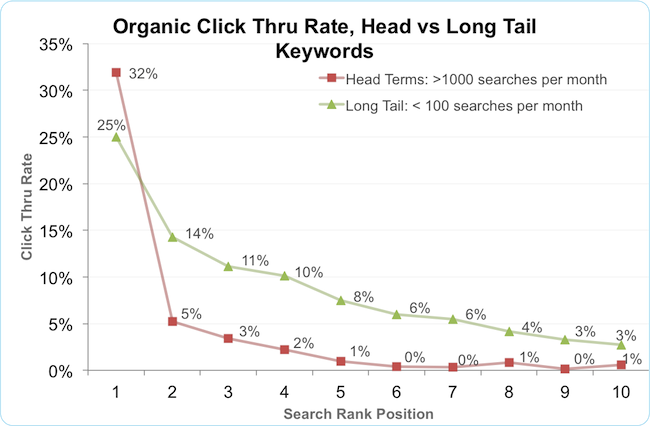 This chart shows how the CTR changes with the Long Tail and Broad Tail Keywords.The higher CTR for position 1 (32% for head terms versus 25% for long tail), long tail terms show better overall CTR on page 1 (4.6% average CTR for head terms versus 9% average CTR for long tail terms).  Given two keywords with the same search volume where one is a cheap keyword, and one is an expensive keyword, your potential organic traffic is nearly 3 times greater on a lower CPC term. 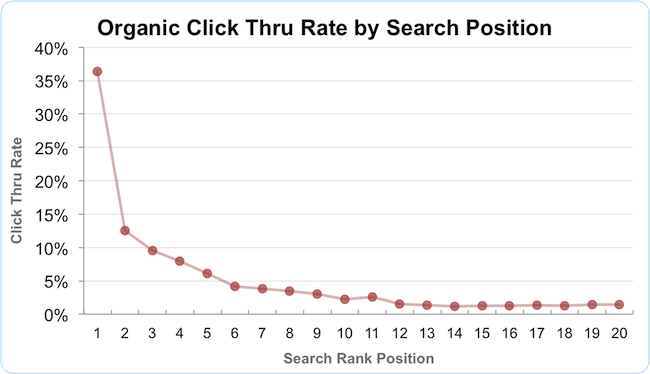 Some of the top findings from from the, The Changing Face of SERPs: Organic Click Through Rate, based on analysis of organic keyword visits (Google US) gathered from Optify's software for a variety of B2B and B2C websites in December 2010. 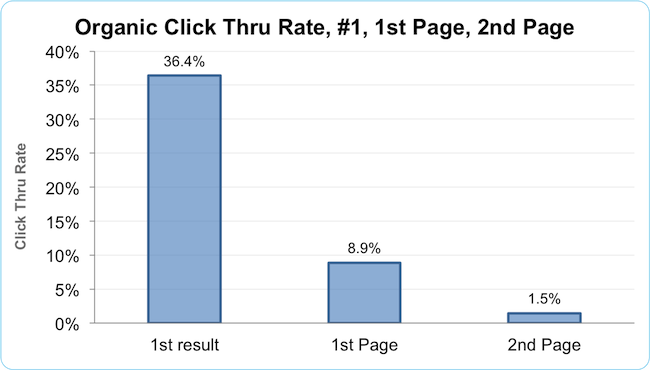 The average CTR on page 1 is 8.9%, far higher than the 1.5% CTR average on the second page, emphasizing even further how important the first page is compared to any other page and position. what is means is that your SEO efforts should be moving keywords to the first page and not necessarily to the first position. It also means, that ranking below page 2, is good only for tracking and looking at trends, but has almost no business value.